I had the privilege of being introduced to The Dresden Files by the author himself. Conestoga 2000 was not my best convention. I arrived with a headache that had me hiding in my darkened room for the first day, only emerging for soda to settle my stomach and to replenish my supply of painkillers. “Would you like to buy my book?” the author was all alone with a card table heaped with paperbacks. He looked gawky, gangly and a bit nervous. Buying anything but the aforementioned supplies was the last thing on my mind, but there were so many books and he gave me the kind of puppy-dog look that melted even my cranky heart. I whipped out money and a signed copy of Storm Front was mine. I returned to my room after procuring supplies. When my head stopped pounding, I commenced to read. I expected to read a chapter and put the book aside. I was hooked. By the time I finished, I was in a much better mood and ready to rejoin the world. And yes, I spread the word about Storm Front because talking about books is right under reading books in my list of favorite things to do. I used Jim Butcher’s words to describe Storm Front and got contradicted by another attendee. “That’s exactly what I said,” a male voice sounded from behind me. Lo and behold, Butcher was there acting as my champion. If I wasn’t a fan before, Jim Butcher sold me. Most authors draw a bit from their own character to create their novels. There’s a lot of Harry Dresden in Jim Butcher. He’s self-effacing, good-humored and an old-world gentleman. Fourteen books later, I’m still counting the days from one release of The Dresden Files to the next when I have given up on more than a dozen other urban fantasy series. The last we saw Harry, he was a ghost with only a faint hope of returning to the mortal realm. But, if you make an oath to the Winter Queen, she’ll be certain you fulfill that promise even if you might think death is a better option. Harry Dresden wakens in the realm of the Winter Court and undergoes months of physical therapy, which consists of a mix of traditional medicine as well as a daily murder attempt by the mad and megalomaniacal Queen Mab or one of her minions. Then, the real fun begins. Mab’s got an impossible assignment for Harry. He returns to Chicago and travels to the island, Demonreach, in the middle of Lake Michigan and discovers the magical island’s true function. By the end of Halloween, he must kill an immortal and find a way to stop the island from blowing up and taking a massive chunk of the continental shelf with it. And, all of this on his birthday! Reading a Dresden Files novel is like getting reacquainted with an old friend. There’s a moment of catch-up, then you’re reading like you’ve scarcely been apart. Cold Days is one plot development after another rolling downhill at you like a snowball. Reserve enough time (and battery life, if you have an e-reader) to finish in one long session. 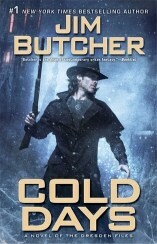 Butcher’s planned a twenty-book series for the Dresden Files. Many of his fans doubted he could accomplish this after Ghost Story. He’s introduced enough complications and new characters for at least two or three of those subsequent books. The pop culture references are there, too. Within twenty pages, Jim Butcher provided a Princess Bride quote and introduced a brand-new character to the Winter Court who had me roaring. Ultimately, what keeps me reading the stories is Harry. Yes, he’s changed from the young wizard in Storm Front, but he’s kept his basic values of common decency, courage, and concern for those weaker than he. Like the Magical Energizer Bunny of Chicago, he just keeps going despite whatever is thrown at him. I personally hope Butcher finds more than six additional stories to tell. At this point, readers who have not read any of the Dresden Files may be asking—can I start here? I usually do not recommend beginning a series at the fourteenth book; however, Cold Days is a new beginning for Dresden. 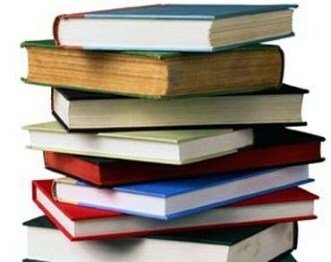 There are enough breadcrumbs spread throughout the book that you should be able to read without too much difficulty. If you choose to begin the series from book one, may I suggest the audiobooks. James Marsters (of Buffy fame) voices the first twelve books of the series beautifully. I have begun to replace all but my signed originals with the audio because it’s such a treat. Listen To FREE Audiobook ChapeterS From The Dresden Files by Jim Butcher! More Dresden Files & Jim Butcher! Who should get the swords Ammoracchius and Fidelacchius? Where do you fit in Harry Dresden’s world? I'm Just Wild About Harry! Brought back to the mortal world as the Winter Knight to Mab, Harry Dresden is at the command of the Queen of Air and Darkness and is expected to kill an immortal, as he begins to realize there is a serious threat to endanger countless innocent victims unless he finds his way out of eternal subservience. 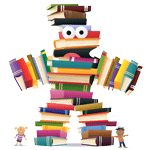 Buzzy Product & Book Reviewer Rebecca McFarland Kyle was born on Friday 13th in the midst of a Casper, Wyoming snowstorm. Aside from writing reviews, she?s an editor for Conclave: A Journal of Character and Shelfstealers. She has publication credits in both nonfiction and fiction and is currently working on three young adult novels. She lives between the Smoky and Cumberland Mountains with her techno-gypsy spouse and four felines.